Born Harriet Frances Kratz in the Philadelphia area, she preferred Frances. To further complicate the identification of her work, she also signed work under her married name of Frances Kratz Schantz. Examples of Kratz’s work rarely appear at auction. 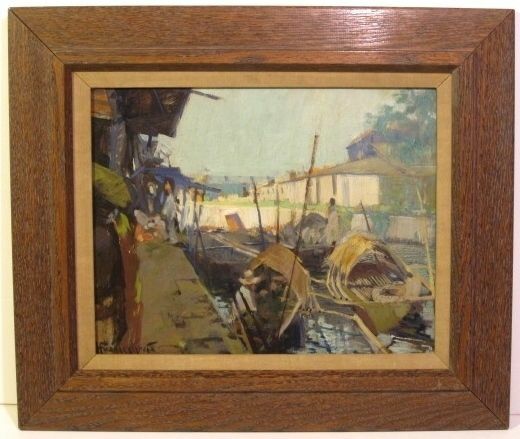 The Community Collection acquired “The Canal” (painted circa 1940) from the family of Malcolm Cowles, who had served as a missionary in the Philippines and China before World War Il. By agincourtiowa in Landscapes & Livestock on Monday/13/October/2014 .